Muslims across the world began celebrating Ramadan, a holy month that encompasses – among other things - fasting during daylight hours, on Sunday evening, June 5. This year’s Ramadan ends on the evening of July 5. Below are three suggestions for non-Muslims interested in showing support and an expanded understanding of the religious observance. If you are invited, try attending an iftar, the evening meal when Muslims end their daily Ramadan fast. While sharing the meal with your Muslim friends is a way to show companionship, it's also a chance to ask questions about the sacred month. One thing to take into consideration if you're invited to an iftar is to arrive on time, given the fact that the hosts have been fasting and it would be inconsiderate to make them wait. Also, try to join in the traditions surrounding the meal, such as sitting on a carpet on the floor instead of at a table. You don't have to celebrate Ramadan to wish a practicing Muslim a happy holy month. By saying "Ramadan Kareem" (correct pronunciation here) or, simply, "Happy Ramadan" you are acknowledging that you are aware of their holiday and respect their religion. 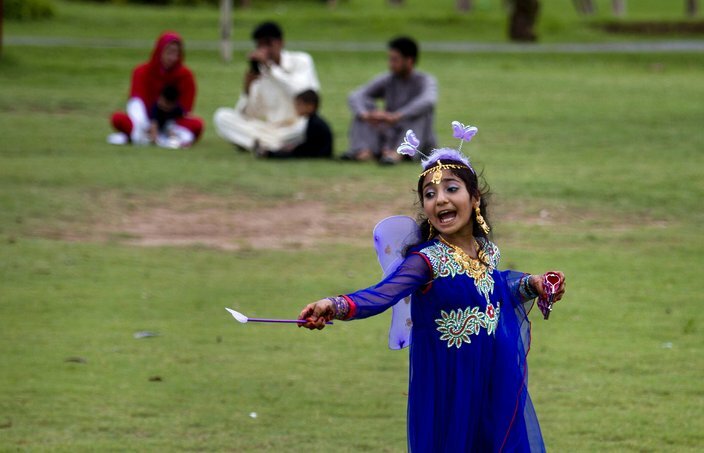 A Pakistani girl in new clothes calls to her friend while visiting a park to celebrate the Eid al-Fitr holidays in Rawalpindi, Pakistan, Saturday, July 18, 2015. Eid al-Fitr marks the end of the Islamic holy month of Ramadan, during which devout Muslims all over the world fast from sunrise to sunset. Like with all religions, people practice their faith in their own ways and to varying degrees. In addition, there are certain groups who are not required to fast, like the sick, young and elderly. 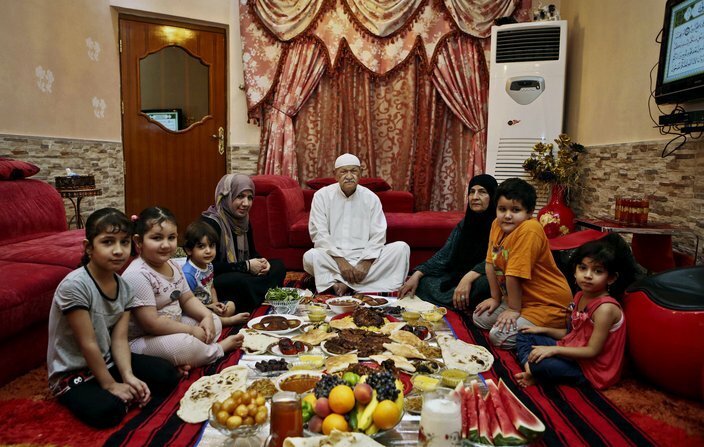 This Sunday, July 6, 2014, photo shows an Iraqi family waiting to break their fast during the holy month of Ramadan in Basra, Iraq.